Meizu has confirmed that it will be launching the Meizu 16 series on Aug. 8. Recent reports have revealed plenty of information on the Meizu 16 and Meizu 16 Plus. Today, a leaked photo showing the rear side of the alleged Meizu 16 has appeared on Weibo. The reflective rear shell suggests that it could be made out of glass. The edges of the smartphone could be sporting an aluminum alloy frame. The edges of the back panel seem to be curved towards all the four sides. It appears to be milky white version of the smartphone. The image reveals that the alleged flagship from Meizu would be featuring a vertical dual camera setup and a ring flash is placed below it. There is no fingerprint scanner on the backside of the Meizu 16 because the company has confirmed that it will be arriving with in-display fingerprint scanner. 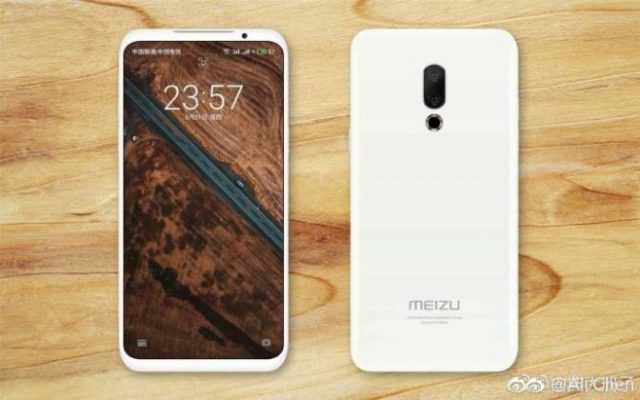 The leaked image resembles with the render of Meizu 16 smartphone that had appeared in the recent past. Probably, the Meizu 16 Plus may arrive with the same rear design. The Meizu 16 duo are expected to be fueled by Snapdragon 845 Soc. The Meizu 16 and 16 Plus are rumored to respectively feature 5.6-inch and 6.1-inch Super AMOLED display. Both the smartphones will carry support for 18:9 aspect ratio. These phones are rumored to be equipped with 3,080mAh and 3,600mAh capacity batteries. The Meizu 16 is rumored to arrive in variants like 6 GB + 64 GB, 6 GB + 128 GB, 8 GB + 128 GB. These models are speculated to cost 2,399 ($355), 2,699 Yuan ($398) and 2,999 Yuan ($443). The 8 GB + 128 GB and 8 GB + 256 GB models are likely to arrive with respective price tags of 3,299 Yuan ($487) 3,599 Yuan ($531).